We are here to support you in your search for drug rehab in the South West and alcohol rehab in the South West. We’re independent advisors on addiction treatment services and make it our mission to offer an understanding ear and confidential advice. It may seem difficult to know where to start in your research, what to ask or even to be sure if rehab is what you need – that is where we are your first ‘port of call’. Help with addiction in the South West is available both through statutory services, the NHS, charities and privately. Private options obviously come with a price tag attached – though this is often not as expensive as some people fear. The benefits of such services are in the immediacy of help you can access and level of choice you have. We can talk you through your options when it comes to support groups, therapists, counselling, detox clinics and programmes and rehab. To support an addict in denial in the South West region, you may wish to consider a formal and structured intervention supported by a counsellor. This allows you prepare information and evidence to help the person who is addicted to understand the impact and level of their problem, present it to them in a supportive way and offer them the help they need. It is not an easy process but one that can effectively lead to change and recovery. 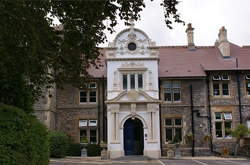 What happens in rehab in the South West? 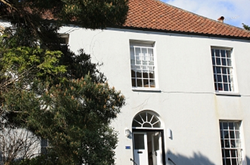 Residential rehab in the South West involves a stay in a specialist environment when clinicians and therapists who specialise in addiction and recovery are on hand. A programme of support will be created specifically for you. The process will involve support to achieve abstinence, including any necessary medication to alleviate and safely manage withdrawal symptoms. In addition, support will be provided to help you face and address what led to your addiction and become equipped to resist reigniting it. We are very happy to answer any specific questions you may have – including practical considerations around what you’ll be allowed to take with you into rehab, how much contact you can have with loved ones and aftercare. Do get in touch.